Holiday Charme India Pvt. Ltd. is offering Exotic North India Tour Packages which include visit to various exciting places that will fill your heart with joy & happiness. 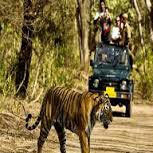 The package includes 5 nights & 6 day visit to Jim Corbett via Nainital. 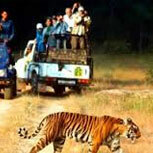 Jim Corbett is a national wild sanctuary which gives you not only the glimpse of wild life but also about ancient Indian culture during visits in famous museums. 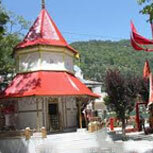 You will also enjoy the wondering beauty of mountains, lakes and natural landscapes in Nainital. Arrival In Delhi and Check in Hotel. After breakfast visit some of the astonishing monuments On Rickshaw Ride like Jama Masjid, Red Fort & Chandni Chowk. 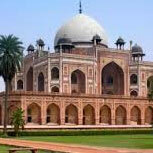 Humayun Tomb, popularly known as Mini Taj in Delhi. Apart from this, visit some other sites that will give you ultimate pleasure are Raj Ghat, India Gate, President House, Qutub Minar, Lotus Temple, Akshardham Temple and many more. Get back in the hotel & stay relaxed. On day 1st, you will start journey for Nainital. The distance is approximately 300 km. 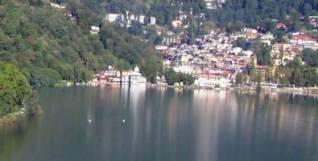 Nainital is a hotspot for tourists in India. The place is full of astonishing natural landscapes like the sky touching mountains, the beautiful lakes and springs and many more. On the second day of your journey you will visit famous places like Naina Devi Temple, Mall Road, Zoo, Aerial Ropeway, Governor House, Hanuman Garhi, Tiffin Top, China Peak and many more attractive places that will give you calm & soothing feeling. 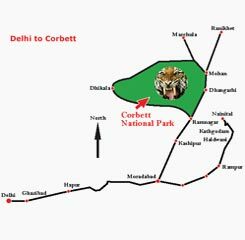 We will start our journey for famous Jim Corbett on the third day after breakfast. 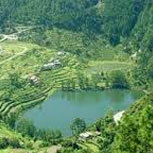 It lies approximately 120 km from Nainital. 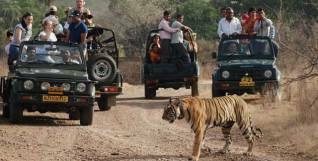 Here you will enjoy the glimpse of wildlife & natural landscapes. You will enjoy the lovely evening in the flora and fauna of the area. Full of natural lakes and springs, this place will definitely give you a memorable moment of your life. Some of the famous places to visit in Ramnagar include Corbett Jungle Museum, Girja temple, Kyari Temple, Sitabani forest reserve, Jhirna, water fall, kalagarh point, sunrise point and off course the beautiful Ramnagar. We will move back to Delhi on the last day of our visit. 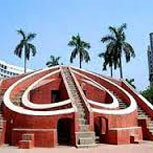 01 -Accommodation on twin sharing basis with Indian Cuisine & Continental Breakfast. 02 - Check in / checkout time is 12:00 Noon. 03 - A/c car for all transfers, sightseeing & long run as per itinerary including fuel charges, night halt, interstate taxes, toll/parking, driver food & accommodation etc. 04 - Providing newspaper and mineral water complementary in the cab. 01 - Any air / train fare. 02 - Personal expenses such as laundry / phone calls / mini bar charges. These are to be settled directly by the client. Also, doesn’t include table drinks, tips etc. 03 - Camera / video camera charges at monuments. 04 - Personal health insurance coverage. 05 - Monuments entrance fee. 06 - 5% Service Tax Extra. 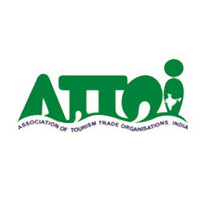 Copyright © 2015 Holiday Charme India Pvt. Ltd. All Rights Reserved.